Subway, the home of foot-long baguettes and sandwich artists, has been struggling in their home US market. Sales fell 1.7% last year to just over $11 billion, in a market that Technomic report to have grown 3.9% in 2016. But how has Subway been faring this side of the pond? Subway closed 359 stores in the US last year, but is employing an aggressive expansion strategy here in Britain, planning to open another 500 stores by 2020 (Source: Reuters). Subway currently have 2,109 stores located across GB and they have mainly focused their growth around retail parks and alternative locations. With a key business focus on non-traditional development, Subway are most notably expanding in motorway service stations, stadiums and university student unions to name a few, all which fit under the 'Other' category in Figure 1 below. Subway provide a service that places itself in the sweet spot of both the lunchtime sandwich market (i.e. the Boots meal deal) and the fast food market (Burger King, McDonalds etc) which has been part of the key to its success to date. In a market with substantial growth in supermarket meal deals, Subway has had to keep its prices competitive, around the £3 mark. In a pre-defined market segment of Subway, Sainsbury’s Local, Tesco Express, The Co-operative Food and Boots only, Subway accounts for 22% in terms of store units. It has seen a massive increase in stores of +129 in the last 12 months, up 7%, seen in Figure 2. Greater London, the South East, the East and Wales are the only regions to see growth in stores from the above occupiers, with the North East experiencing the biggest drop in numbers. The fast food sector is equally competitive, with more than 8,600 stores in London alone competing for customers' F&B spend. In a pre-defined market of Subway, Greggs, McDonald’s, KFC and Burger King, Subway has a majority presence, accounting for 33% of the total stores in the market, although in terms of floor space, this would be a very different number due to Subway's smaller store formats due to their smaller seating areas. All of the fast food chains included in the above are currently increasing their store count, except McDonald’s which is currently focusing on refurbishing its older restaurants within Greater London, with new features such as table service and touch screen order stations. Comparing Subway to all the above fascias, we have found that there are a significant number of locations across GB with competitors opening stores within a 200m radius of Subway. The largest expanding competitor is Greggs, who have opened 78 stores within a 200m radius of a Subway in the last 12 months. 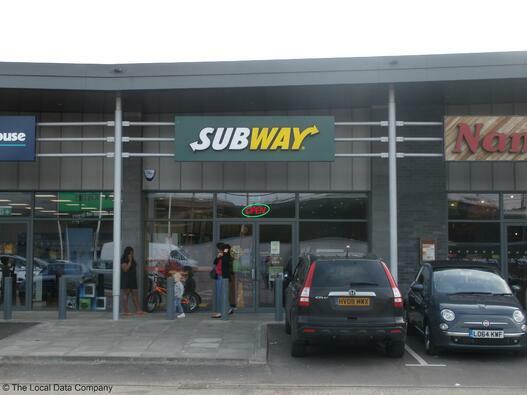 Figure 5 shows an example of a Subway store in Leeds, which faces significant competition. 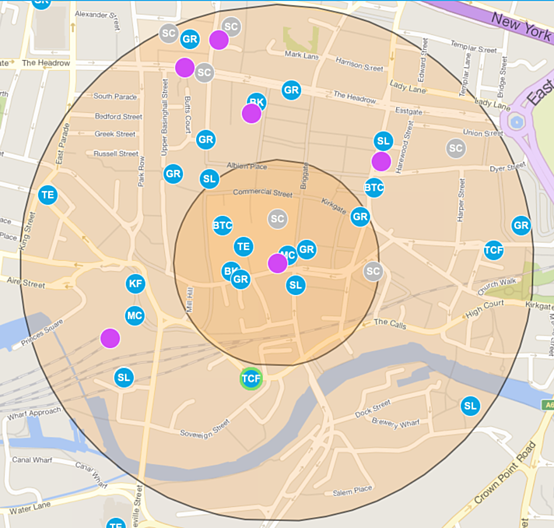 Pink dots indicate other Subway stores (with six that fall within this one catchment) and blue dots indicate both fast food and sandwich competitors. Regarding expansion, Subway may consider opening up more stores in Scotland and the South. There are 133 and 161 locations respectively where at least one competitor is present within a town that has no Subway. Overall, Subway seems to be fairing much better in the UK than it is in the country where it was conceived. However, competition is increasing for this brand from retailers who can afford to be aggressive with their pricing and location strategy. Subway will need to put some effort in to make themselves distinctive from other lunchtime F&B operators to make sure that they remain at the top of their game.